This week the Ritz-Carlton Destination Club announced the opening of its newest ski-in/ski-out property at Northstar, Lake Tahoe. The club is adjacent to the new, Ritz-Carlton Highlands, Lake Tahoe, and is set amidst the family-friendly Northstar-at-Tahoe year-round resort, on the Northern California side of the largest U.S. alpine lake. It offers 25 two-, three- and four-bedroom residences ranging from approximately 1,423 to 2,434 square feet, and all boasting dramatic Sierra Nevada mountain and Martis Valley views. The resort also includes 23 private whole ownership Ritz-Carlton Residences. The Clubs interior design is inspired by the Washoe Tribe of the area with aspects of their heritage accentuated by way of textiles, patterns and indigenous materials. Organic and modern elements of nature are also incorporated in the luxurious furnishings to bring the beauty of the striking Lake Tahoe setting indoors. Each Club residence also features gourmet kitchens with wine refrigerators, cozy living rooms with fireplaces, and heated, honed marble bathroom floors. As part of the personalized Club experience, Members will find their boots warmed and skis ready for the slopes, as well as the opportunity to enjoy snowshoeing outings, stargazing tours and horse-drawn sleigh rides. This is in addition to access to the nearby resorts facilities and the new gondola to whisk Members to the Northstar Village with an outdoor ice-skating rink, 21 retail stores, 11 bars and restaurants and abundant family activities. Ritz-Carlton Destination Club offers two different types of membership. The "Home Club Membership" is designed for members who wish to spend the majority of their time in one particular destination. It offers 1/12th fractional deeded interests entitling Members to stay 21 days annually. 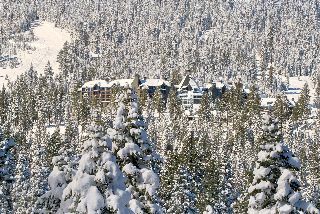 Membership pricing at The Ritz-Carlton Club, Lake Tahoe ranges from the low $100,000s to the low $400,000s per interest. "Portfolio Memberships" afford the opportunity to stay at a wide variety of Ritz-Carlton locations and accommodations around the globe, including this Lake Tahoe addition, and participating Ritz-Carlton hotels and resorts. 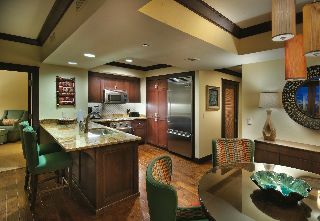 Portfolio Members use Club points for each stay. A typical Portfolio Membership is approximately $260,000 for 10,000 points.